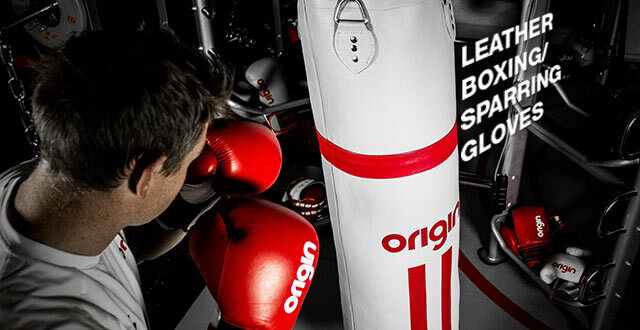 Just when you thought the Origin Fitness range couldn't get any better we're now delighted to announce that we've developed a fantastic range of boxing equipment to complement the already extensive fitness offering. Over the past 18 months, the Origin Fitness brand has grown massively and now delivers quality and variety across a wide selection of free weights, fitness and functional training products. The next step for us was the development and production of an exciting Origin Fitness boxing range which uses the highest quality materials and manufacturers to offer the perfect set of tools for both sporting and fitness training contexts. 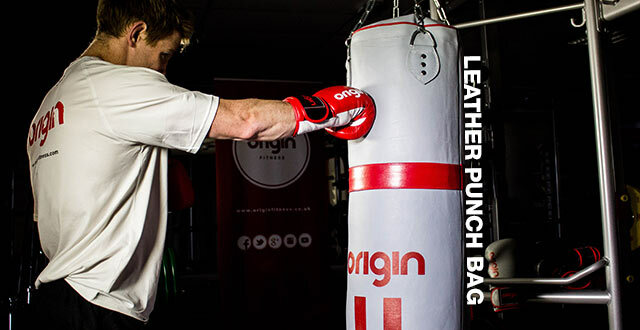 Perhaps the most exciting addition to the Origin Boxing range is the Leather Punch Bag. This comes in various heights and with hanging chains for attaching to the ceiling or a training rig. 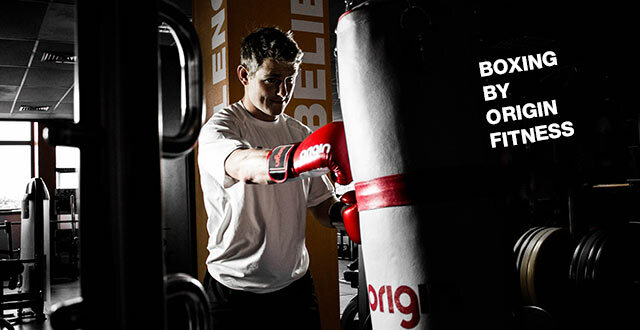 This punch bag is designed to last and looks great (even if we do say so ourselves). Available in 3.3ft, 4ft, 5ft and 6ft sizes. The Origin Free-standing punch bag is the perfect product for spaces where overhead hooks or a hanging bag aren't feasible. The water filled base can be detatched and easily moved for use anywhere. The flexible neck also allows some movement to ensure the boxing experience is similar to that of a hanging bag. 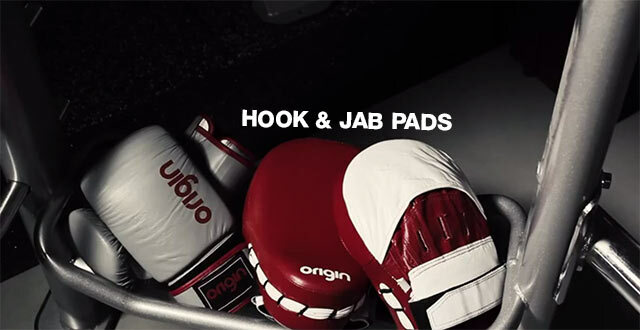 Our Origin Fitness Hook & Jab Pads are perfect for training in a boxing or martial arts gym or in small gyms and PT studios, bootcamps or any other fitness setting. When working one to one with clients pad work is a great way to get the most out of your the sessions, however we know that boxing and martial arts gyms is where they are really put to the test. In order to increase the lifespan of the pads, we have used only the highest quality leather materials. Once again, our Origin Boxing/Sparring Gloves are made from a high quality leather, meaning they are built to last whether using them on the bag, pads or sparring sessions. Since we know that gloves are regularly shared between users in fitness facilities, our special GoDry material has been used to increase ventilation and therefore reduce the build up of perspiration. Available in 10oz, 12oz, 14oz and 16oz sizes (small-extra large). 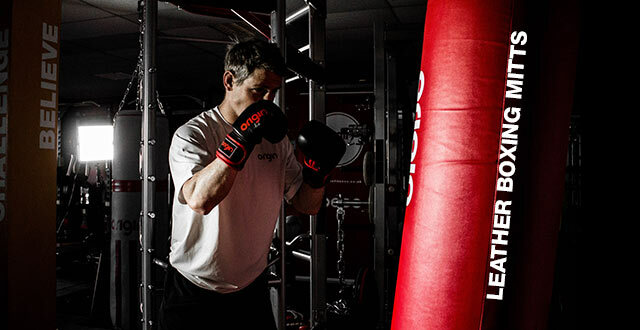 Origin Leather Boxing Mitts are perfect for all kinds of training and boxing workouts although not for sparring. Our priorities for the design of these gloves were maximum ventilation and flexibility without compromising on the quality of material or the support offered during even the toughest of sessions. 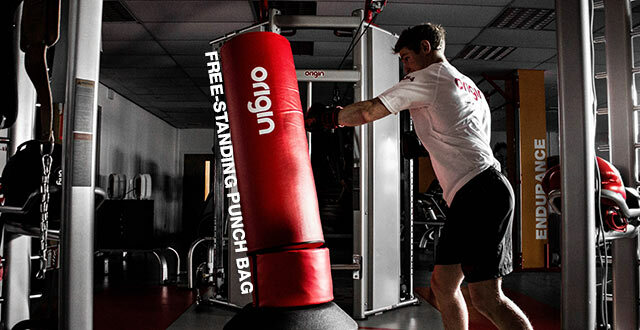 The final product within the Origin Boxing range is the Functional Rig Boxing Station. This can either be used as a standalone hanging bag station or as part of the Origin Fitness functional training rig. 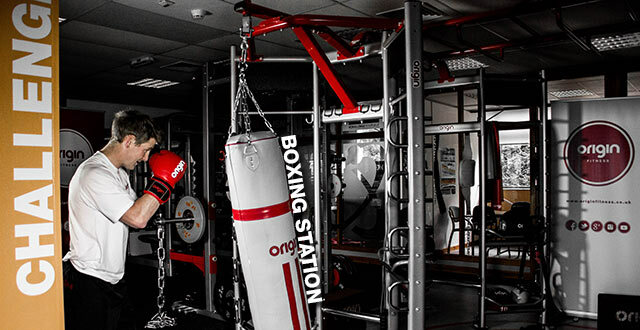 These functional rigs are modular and fully customisable however, the boxing station on it's own provides a great location for a hanging bag with the added benefit of storage hooks and shelves for things like gloves, medicine balls and skipping ropes. This entry was posted in Just Launched on 4th June, 2015 by Craig Fleming.